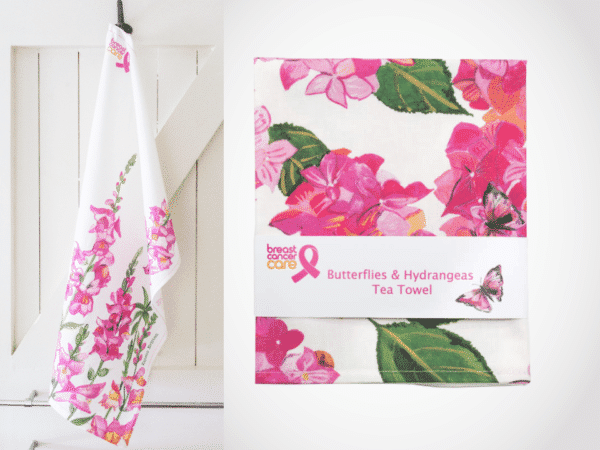 Emma’s signature floral designs can be applied to a range of different projects and product. Emma Britton can produce an exclusive design or collection to your brief. Emma particularly enjoys working on site-specific projects, please drop us a line if you are interested in licensing or commissioning artwork. Homewares & Glassware: You can find Emma’s products stocked in independent shops and galleries across the UK and on Not on the high street. If you are interested in stocking the collections please get in touch for wholesale information or come and see us at a show, we are looking for new stockists. 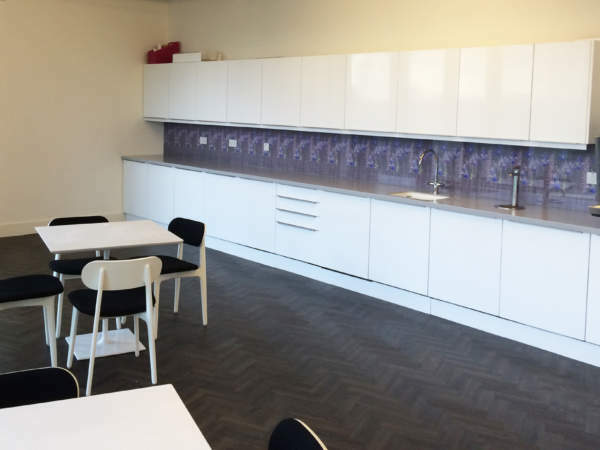 Splashbacks: We work with interior designers, architects, contractors and kitchen showrooms nationwide if you would like a trade price list please get in touch, to give your project or customers something different. We want to here from you. "Emma's paintings from our gardens are beautiful, inspired by nature, our wildlife and our gardeners in Derbyshire.” Jayn Sterland Weleda MD. Weleda commissioned Emma to create the pack designs for their 2018 collection ‘Gifted from Nature‘. 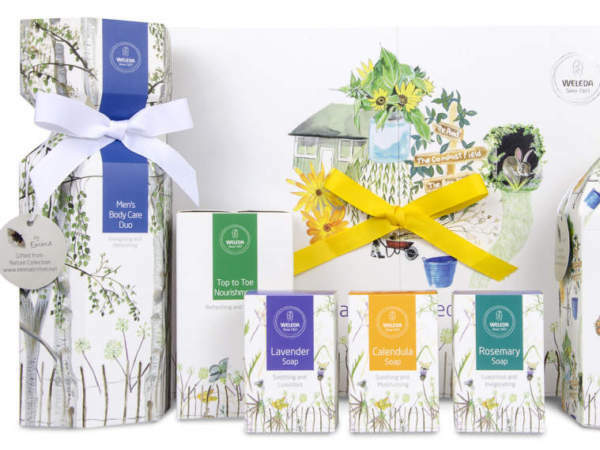 Her designs successfully captured the essence of 'The Field', Weleda’s 13 acre Demeter-certified gardens, close to her studio and were sold online, and on the high street, including Holland & Barrett and Waitrose. 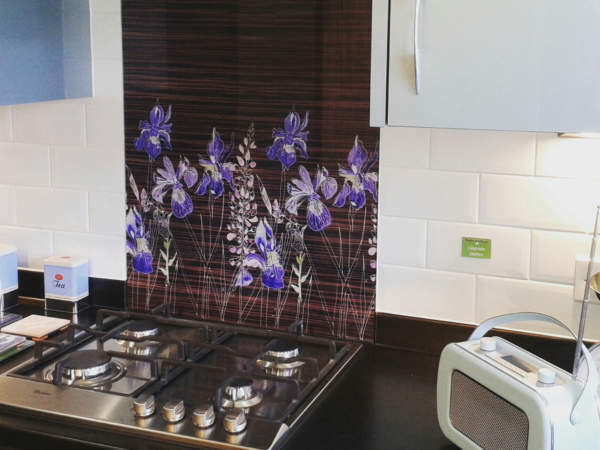 The Oaks, Tipton are all built with Emma Britton Splashbacks. Client's had a choice of 10 of our patterns when choosing the finishing touches to their new house. Emma was specified by Architects Turner Legg to design, 20 Air Street, which features 7 metres of her best selling pattern 'Watercolour in Grey'.